The Prospectors & Developers Association of Canada (PDAC) is a leading institution in Canada in the area of ​​exploration and exploitation of mineral resources. With approximately 8,000 members around the world in all sectors of geology and mining industry, PDAC’s mission is to promote globally-responsible, vibrant and sustainable industry of mineral resources. As a credible institution, PDAC encourages best practices in technical, operational, environmental, safety and social performance. PDAC is known worldwide for its annual PDAC Convention, which is registered as the premier international event for the mineral industry. PDAC is the leading convention that brings together individuals, companies and organizations who are active in the mineral exploration industry. PDAC Convention annually records the presence of more then 1,000 exhibitors, 3,500 investors and over 25. 000 participants from 135 countries. The four-day annual convention held in Toronto has grown in size, stature and influence since it began in 1932 and today is a first-class event for the world’s mineral industry. Statistics shows that of all Canadian PDAC members, 55% are of the Province of Ontario, while 21% are of the Province of British Columbia and only 10% are of the province of Quebec. However, the PDAC convention each year attracts an increasing number of representatives of countries from all continents. Some states independently organize panels on ongoing projects, potential mineral resources in their territories and present the advantages of doing business in their country. Some of the countries with this practice are: Canada, South Africa, Peru, Chile, Ecuador, Mongolia, Colombia, China, Australia, Brazil, Ireland, Argentina, India, Germany, Barbados and others. At this year’s PDAC Convention only a delegation from Peru numbered 300 members! PDAC is the largest and most visited mineral convention in the world. It is a place to learn about the latest trends, technologies, the best practices and trainings in the field of mining and geology, to create new contacts, to establish potential cooperation between individuals and companies. Regular convention participants who participate each year can be assured of progress in mineral operations, get acquainted with the progress of long-term projects and acquire the latest knowledge about the challenges and obstacles to responsible business, which has become an integral part of conducting geological and mining projects in all companies in the world. PDAC Convention includes exhibition space comprised of three halls where numerous investors, equipment manufacturers, providers of various mineral services during the four days convention present at their stands products and services, as well as potential projects. This year, PDAC Convention was held in the period March 3-6 at Metro Toronto Convention Center with the participation of 25,843 visitors. PDAC 2019 Opening Ceremony was held on Sunday, March 3. The ceremony was opened by Glenn Mullan, PDAC President, The Honourable Amarjeet Sohi, Canada’s Minister of Natural Resources; Ed Sackaney, Knowledge and Wisdom Keeper and other distinguished guests. One of the most important sessions for the Republic of Serbia was the 3rd Annual Western Tethyan Belt Session which was held on Sunday, March 3 and was attended by more than 230 participants. The sessions’ hosts were Canadian companies Mundoro Capital and Euromax Resources who develop their projects in Serbia, Bulgaria and Northern Macedonia. Session highlights the importance of Tethyan Belt as one of the most attractive regions for mineral projects according to the presentations of the sessions’ participants. Special emphasis at this year’s session was the presentation of Mr. Aleksandar Antic, Minister of Mining and Energy of the Republic of Serbia. Minister Antic, by the invitation of the Minister of Natural Resources of Canada, Amarjeet Sohi, for the first time participated in the International Summit of Ministers of Mines (IMMSA) PDAC. At the 3rd Annual Western Tethyan Belt Session Minister Antic presented mining sector in Serbia, stressing that Serbia has become a country suitable for investment. He also pointed out that Serbia is on the 4th place of the most attractive European countries for investment in the mining sector, according to research made by Canadian Institute “Fraser “. Besides Minister Antic, Serbian delegation at PDAC 2019 Convention was consisted of Serbian Ambassador to Canada, H.E. Mihailo Papazoglu; State Secretary in the Ministry of Mining and Energy, prof. dr Stevica Dedjanski and Assistant Minister of mining and geology, Mr. Ivan Jankovic. A significant number of prominent officials and experts from the sector addressed at the session, including representatives of Canadian companies Dundee Precious Metals, Mundoro Capital, Medgold and Euromax Resources. The event was attended by the Ambassador of Canada in Serbia, Montenegro and North Macedonia, H.E. Kati Csaba, who made use of the Minister Antic’s visit in Toronto to support the strengthening ties between Canada and Serbia in the mining sector. Company representatives presented their special projects in Western Tethyan Belt, pointed out the advantages and challenges in the further project’s progress, while the government representatives offered regional insight. The conclusion of the session was that the Western Tethyan Belt remains unexplored region even it is rich in mineral potential, low costs of research services, qualified local workforce and good infrastructure. That same evening, on the occasion of PDAC mining convention and in light of participation of Mr. Aleksandar Antic, Minister of Mining and Energy of the Republic of Serbia, the Embassy of Canada in Serbia, Montenegro and North Macedonia organized a cocktail along with the Canadian-Serbian Business Association (CANSEE). Cocktail was attended by the representatives of the Serbian delegation, the representatives of geological-mining companies from Serbia, as well as numerous representatives of Canadian companies who have been attending the PDAC 2019 Convention. Guests were addressed by H.E. Kati Csaba, Ambassador of Canada, Minister Aleksandar Antic and Mirjana Doncic Beaton, Executive Director of CANSEE. This year’s PDAC 2019 conference was a total success because it shows that it is indeed the most important event in the world in the field of mining and geology. Serbia has again had a prominent place at the conference. There are several reasons for it but the most important are the readiness of Serbia to meet investors and facilitate and enable them all procedures, provide real opportunities for everyone to have contact with the authorities in the Ministry for fast and efficient work and to highlight the attractiveness of Serbia and sites in it. Several large investments in Serbia testify that readinees, as well as the presence of senior officials from Serbia at the PDAC 2019 last year and especially this year, when the Minister Aleksandar Antic has participated for the first time. It shows investors that the country pays attention and will stand behind its own words. In informal conversation was discussed how Serbia pays attention on those matters and how, unlike other countries in the region, Serbia comes with a high-level delegation. This is aslo recognized by Canada thus, at the International Summit of Ministers of Mines (IMMSA) which was summon by the Canadian Minister, the only one from the region who was invited was Mr. Aleksandar Antic, Minister in the Government of the Republic of Serbia. For the last 87 years, PDAC Convention develops and progress in the domein of number of participants, as well as in the quality of the speakers, collected presentations, event organization and visits of numerous delegations from different countries of the world. 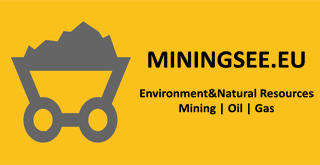 This year, PDAC 2019 justified the expectations of its participants and enabled to Convention participants in one place, in the period of 4 days, to hear the latest trends in mineral sector, to meet the challenges of responsible business, visit sessions of countries which provide potential for the mineral development in their countries and to get acquainted with current and potential projects of those locations. PDAC 2019 Convention has provided a stands visit of over 1,000 exhibitors from different countries and has provided an opportunity for participants to create new contacts. An increasing number of visitors from Serbia, next to the Serbian delegation, comprised of representatives of numerous geological and mining companies which operate in Serbia also signify the importance of PDAC Convention. Those representatvies from Serbia recognize the importance of PDAC convention as a premier place to create new contacts and to establish cooperation with other indivduals and companies on existing and future projects.